The All New 3-In-1 Can Opener by Ezysafe! 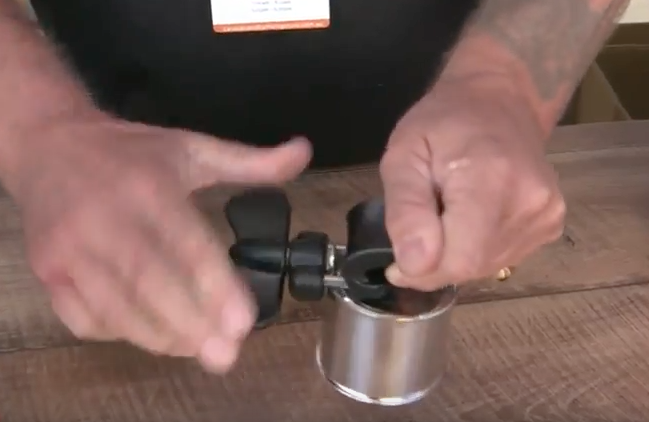 Macca chats with Bryce of BJ Enterprises to discuss they’re new Ezysafe 3-in-1 can opener! Ezysafe have decided to upgrade their already amazing can opener to a must need 3-in-1 wonder tool. The new model now has 2 extra features added to it. A Jar opener, for those stubborn jar lids that are impossible to get off and being an Australia design, it won’t be complete without a bottle opener! Bryce demonstrates how each feature works. And boy, does it look easy to open lids! No sharp edges, No mess and No cutting edge so it’s safe around the kids! To learn more about this fabulous product visit their website!